Denton ISD opened C.H. Collins Stadium in 2004 and can seat 12,000 spectators – 6,000 on the home grandstands and 6,000 on the visitor grandstands. C.H. 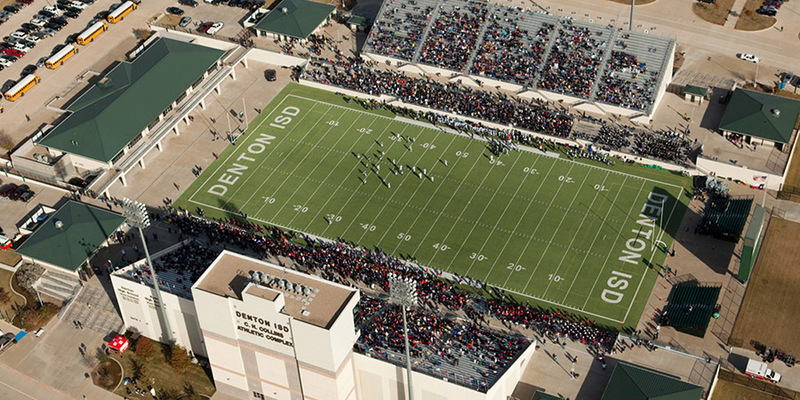 Collins Stadium is Denton ISD’s primary outdoor athletic facility, located at 1500 Long Road. It is the home stadium for all Varsity Football Games for Braswell, Guyer and Ryan High School football teams. Click here to download the C.H. Collins Stadium Information Packet, which includes directions and stadium regulations.